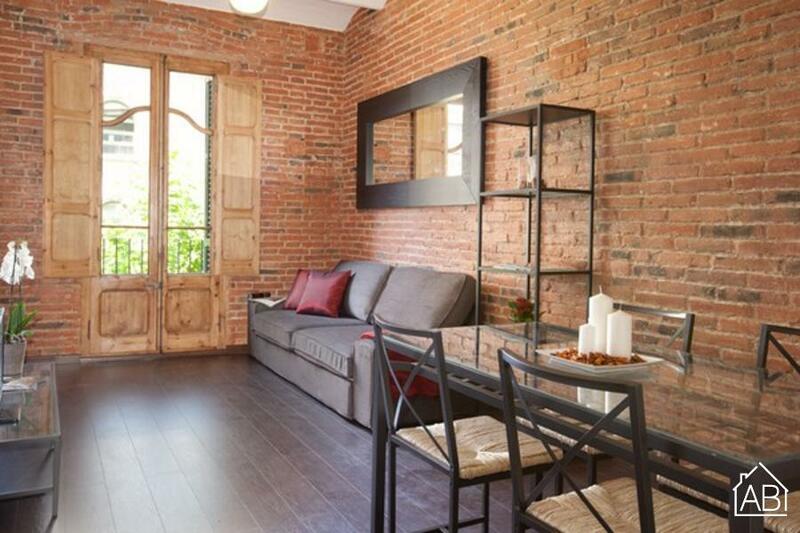 Situated in the beautiful Eixample neighborhood, this modish two-bedroom apartment in Barcelona, offers guests the chance to see some of Barcelona´s most revered sights, including Gaudí´s Sagrada Familia, up close! The apartment can accommodate up to six people in total. A subtle mix of traditional and modern elements welcomes guests upon arrival, with parquet flooring, open-faced brick walls and French windows, all adding to the Mediterranean feel of this apartment. The living room, furnished with a comfy double sofa bed and a TV, offers the perfect spot to unwind after a day of sightseeing. An Internet connection is also available, making it easy to stay in touch with friends and family back home. The well-equipped kitchen has plenty of the utensils and appliances needed to create your own home-cooked meals. Located in the picturesque Eixample neighborhood, this apartment, complete with heaters and air-conditioning, will ensure that your stay in Barcelona is a comfortable one, any time of the year!